Story Easton knows the first line of every book, but never the last. She never cries, but she fakes it beautifully. And at night, she escapes from the failure of her own life by breaking into the homes of others, and feeling, for a short while, like a different, better person. But one night, as an uninvited guest in someone's empty room, she discovers a story sadder than her own: a boy named Cooper Payne, whose dream of visiting the Amazon rainforest died alongside his father. Claire is a hardworking doctor living a simple, quiet life in London. She is also the daughter of the most notorious murder suspect in the country, though no one knows it. Nearly 30 years ago, while Claire and her infant brother slept upstairs, a brutal crime was committed in her family's townhouse. I throughly enjoyed this book. Murder at the 42nd Street Library follows Ambler and his partners in crime-solving as they track down a killer, shining a light on the dark deeds and secret relationships that are hidden deep inside the famous flagship building at the corner of 42nd Street and Fifth Avenue. In their search for the reasons behind the murder, Ambler and his crew uncover sinister and profoundly disturbing relationships among the scholars studying in the iconic library. August 1944. Prague is where the story begins, with a seemingly casual exchange. But in wartime, is any act, any one thing, trivial? Decades later, in contemporary Chicago, the consequences emerge through the medium of television. Documentary filmmaker Ellie Foreman gets a letter prompted by the success of her show Celebrate Chicago. One viewer was the elderly Ben Sinclair. When he suddenly dies, his landlady, Mrs. Fleischman, finds Ellie's name among his effects and writes to her. Ellie, who hasn't a clue about a connection to Ben, is curious. And she agrees to help dispose of Ben Sinclair's possessions. She became a filmmaker to help people tell their stories. The books and wartime relics Ben left behind - will they be enough to tell his? All too soon, Mrs. Fleischman dies. Then Ben's things are stolen from Ellie's suburban home. The single mom, working to move past her ex, doesn't know what to think. But she has to scramble for work and is soon embroiled in producing a campaign video for a steel magnate running for a Republican seat in the Illinois Senate. 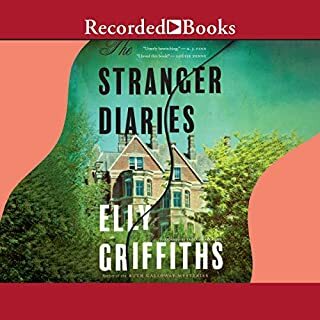 Despite these distractions, Ellie stays focused on her odd link to the dead man and turns to her father, a retired lawyer with deep roots in Chicago's Jewish community, for insights into the mystery of Ben Sinclair. In time, a terrifying scenario develops that reaches back into several pasts. From the political present of the North Shore to the buried memories of the city's ethnic neighborhoods, the components of Ben's story eventually merge into an explosive climax. An Eye for Murder was nominated for an Anthony Award (Best First), which is one of the most prestigious awards in the mystery community. I loved this book!!! How have I not heard of this author before? I was a big Sandra Brown / Iris Johansen / Nora Roberts fan for a long time; but their formulas became too predicable for my liking. This is an interesting protagonist who's working on some long term personal issues of her own while trying to juggle a daughter,a job and trying to not be killed. I will absolutely be seeking out more by this author! Narrator did well- I'd listen to other things she's narrated gladly. 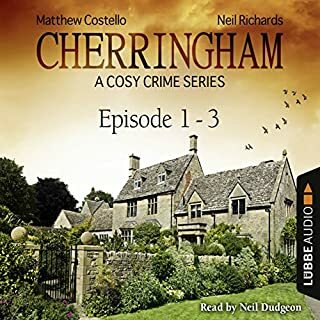 Would you consider the audio edition of An Eye for Murder to be better than the print version? I was provided this audiobook at no charge by the author, publisher, and/or narrator in exchange for an unbiased review. Overall, the story is satisfying and believable and entertaining. All the things one wants in an audio thriller. This is billed as the first in the series of Ellie Foreman mysteries. It might be worthwhile checking out the rest. 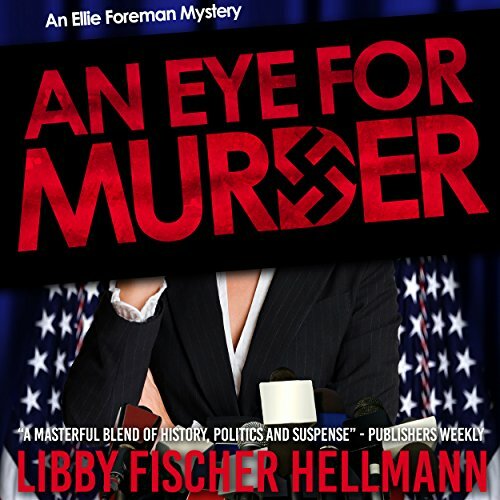 Capably voiced by Karyn O’Bryant, the audio version of An Eye for Murder by Libby Fisher Hellmann is not overly produced with sound effects and distracting mood music, which I always appreciate. The story did require some accent work, and a little emotional depth from the narrator, all of which Ms O’Bryant handled masterfully. In fact, for the whole of the production, I was only pulled out of the narration at one point during a scene describing how Ellie dealt with an unrealized romantic moment. During a few paragraphs where Ellie describes how she brought herself to completion, the narration felt just a little disconnected. There are also a few very minor issues with the story. For one, I find it very difficult to believe that the liberal daughter of a Jewish WWII survivor would be easily swayed to believe that a TEA Party darling could be even a little bit pro-union and pro-choice and still have party backing. There’s also a short scene describing in too much detail how Ellie chooses to hide a copy of an old document. She hid it in a seldom used window-well. That’s all we need to know. But these two issues and a few other quibbles are nothing to complain about. 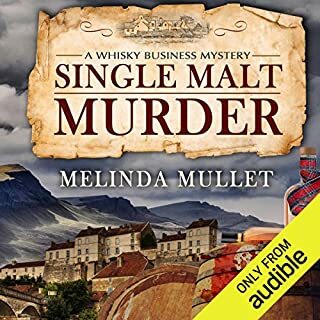 I enjoyed this audiobook of "AnEye For Murder". Good plot, strong protagonist; single parent with teen trouble, an aging parent, a bum of an ex and trying to keep her own business going. I could totally relate to Ellie-we even share the first name of Eleanor! 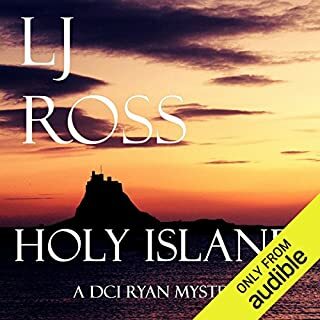 I liked the narration by Karen o'Bryant-she did a good job of Jewish-American accent, got the intonation of the words frequently used by a German-Jew down pat. The plot was tight with light romantic interludes-mostly focused on the mystery part. 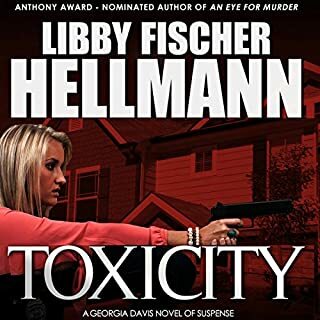 I plan on continuing listening to the series..Libby Hellmann is a great author with an ability to bring the reader/listener in. enough and Karyn O'Bryant gives them distinctive and appropriate voices. Overall, this is a good story and exciting listen. i enjoyed this very much. it kept you on the edge of my seat. Couldn't stop listening until the end. The story overall was good but the heroine was so inept that occasionally we rooted for the bad guy just to get the story moving. Kept me guessing until the very end! I loved it! Lots of twists and turns, suspense, a bit of romance, and mysteries past and present that it kept me guessing until the very end! I can't wait to start the next book to find out what happens next! 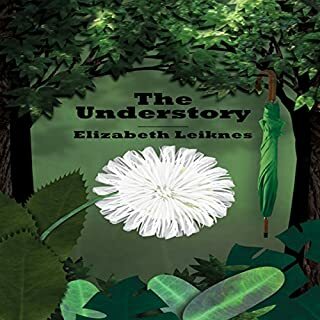 documentary film maker Ellie Forman receives a letter from a the landlord of a English war veteran that will immerse her deeply into the war from long ago .. discovering secrets and extremely sensitive information Ellie Forman has a choice to make.. deeply moving and intensely woven suspense.. I received a free copy of this audiobook in exchange for an honest opinion -- and I'm glad I did. I liked Ellie Foreman and was rooting for her throughout. She does do the occasional dumb thing, but she's not a professional PI or cop, so it's forgiveable. The plot is complicated -- lots of things happening that on the surface don't seem to be related but are -- and Ellie has a personal stake in how things come out. I was kept guessing for most of the book, and I'll listen to it again. I was doing some research for something else when this author's name came up. I came to Audible to see if she was there. She was, so I downloaded "An Eye for Murder" and I can say I was not disappointed! Excellent writing and very good story. I will read more from this author!